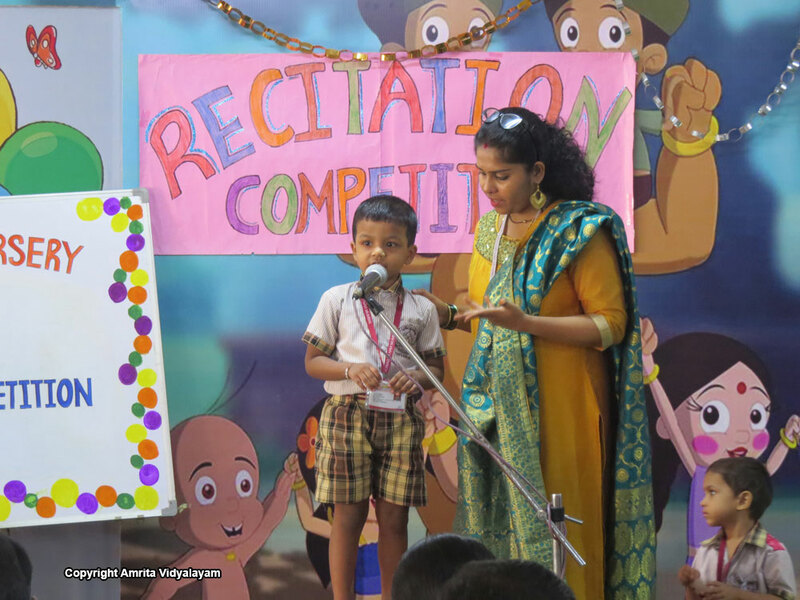 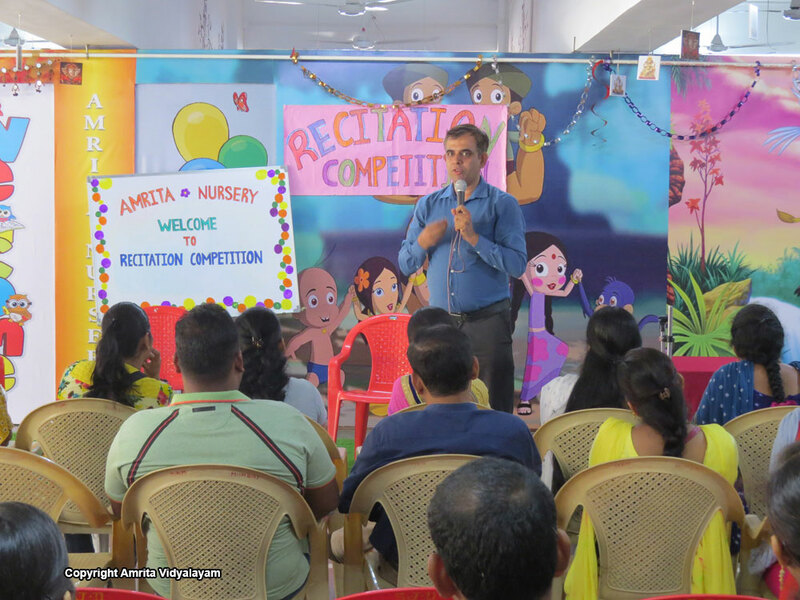 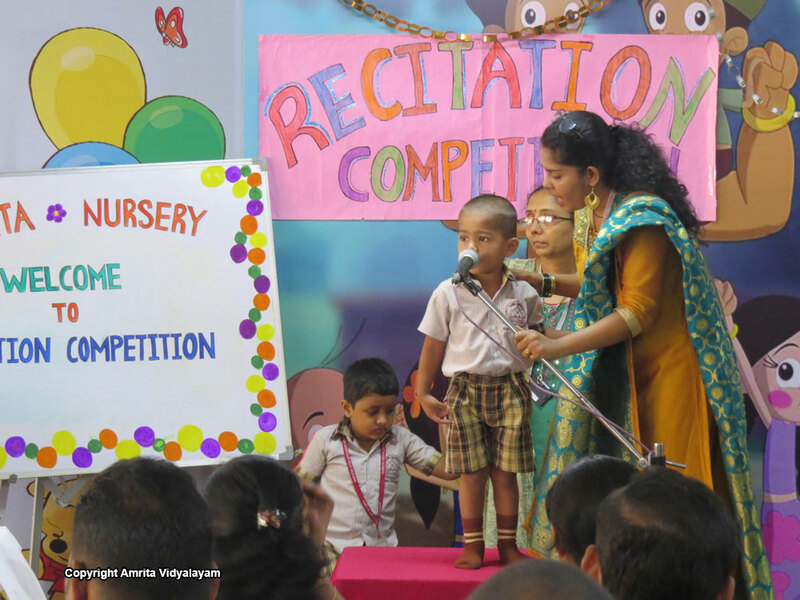 The Amrita Nursery kids enthralled their parents by confidently coming on to the stage and reciting poetry during the Recitation competition held on September 19, 2018. 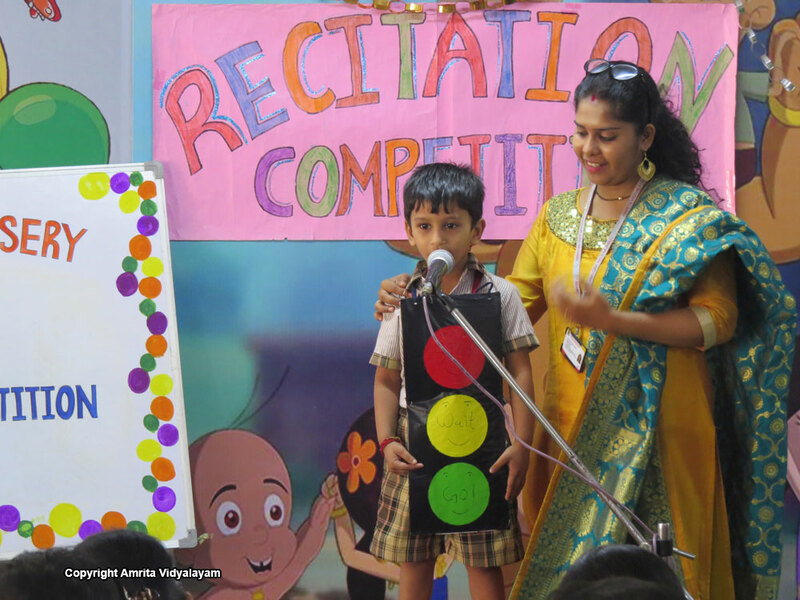 The parents were excited to see their children bring various characters alive through the rendition of their poetry. 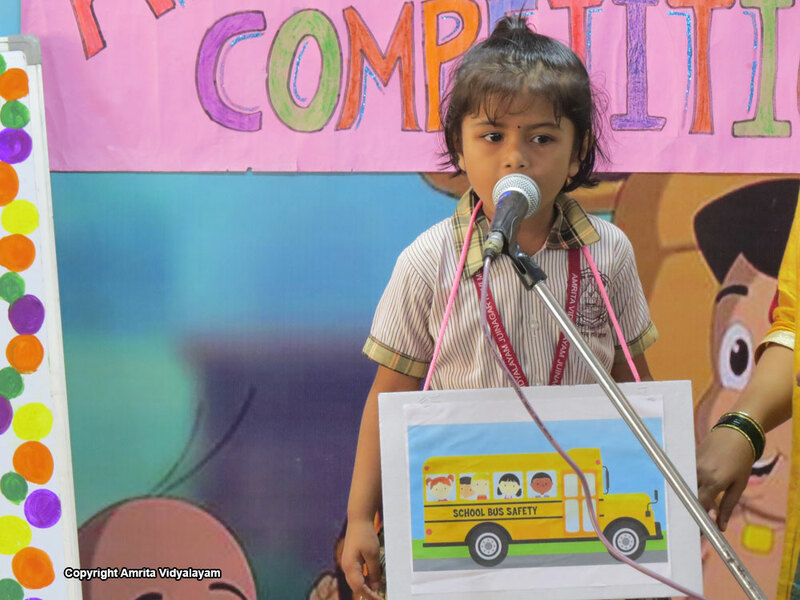 The use of props by some children was quite interesting. 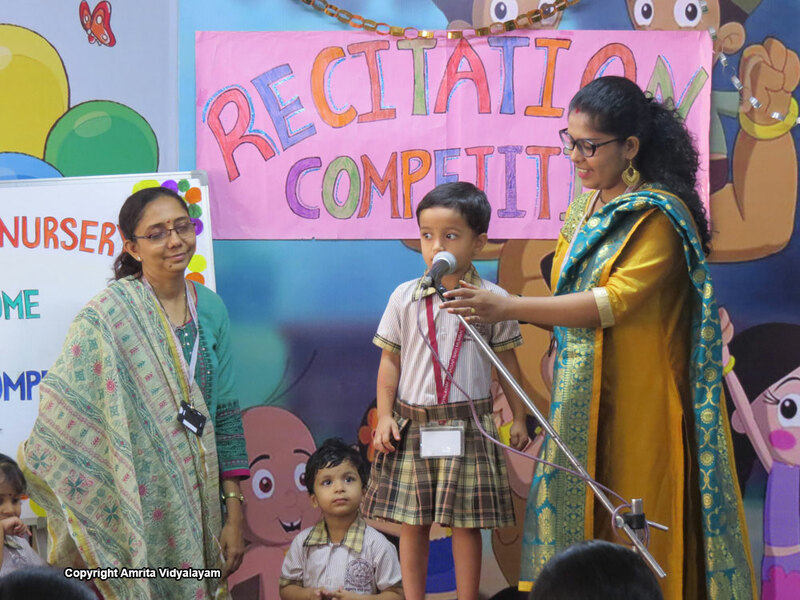 The parents were very happy to witness their children perform, and thanked Principal Brni. 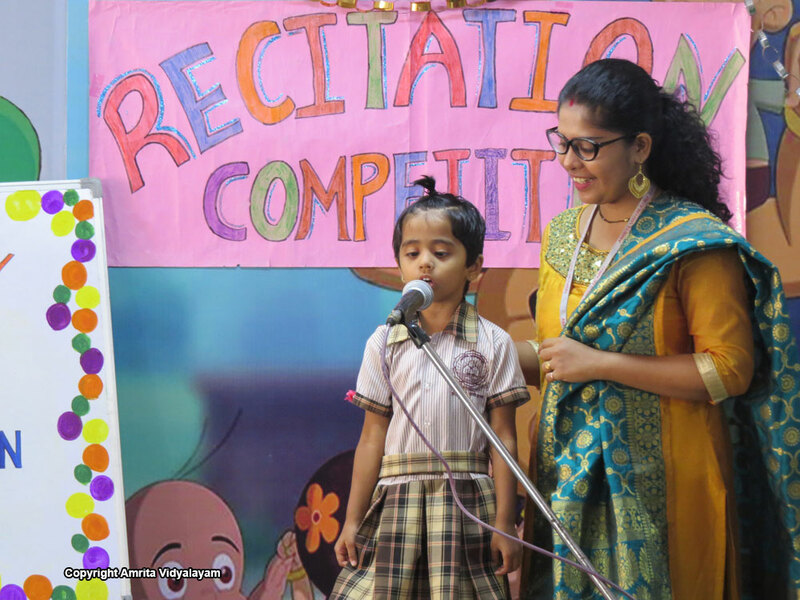 Rekha for the wonderful opportunity. 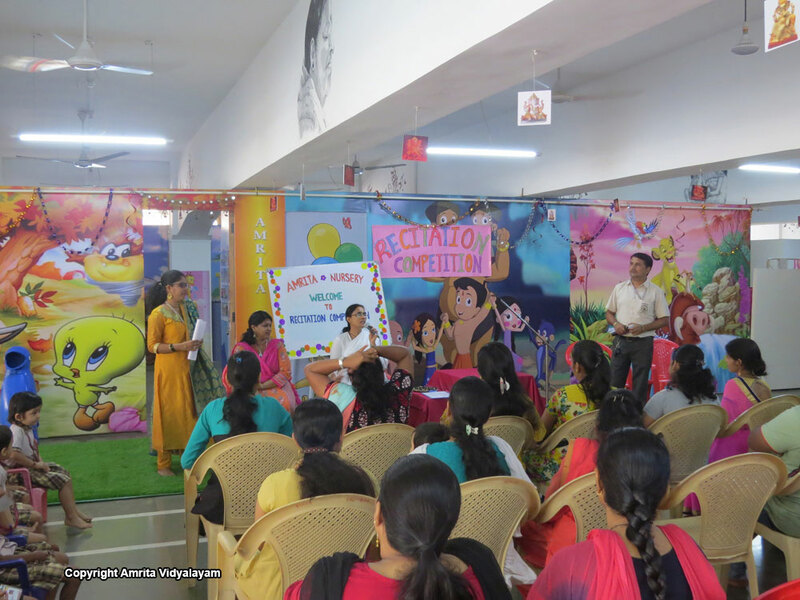 A workshop on “Foods for Kids Mental Development” was conducted immediately afterwards by Child Psychologist Mr. Vivek S. Shukla. 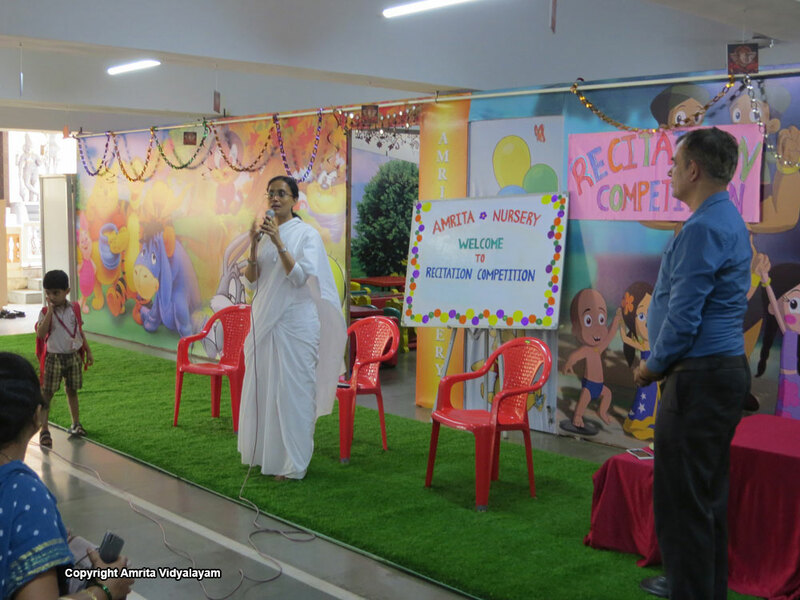 Parents shared their ideas about nutritious food and engaged with the speaker on how to make simple foods appealing to the children so that they enjoy eating at home.